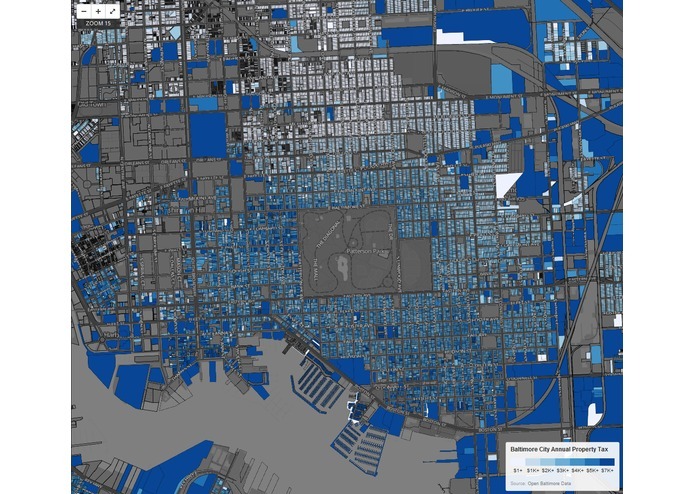 This map displays Baltimore City property taxes. 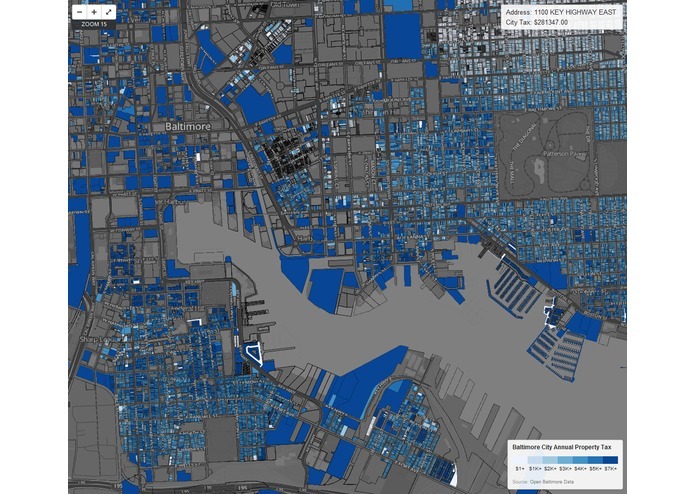 While the city of Baltimore makes property taxes available to the public through an online database and form search, there is no (known to me) easily accessible geographic visualization of this data. This map will allow homeowners to quickly compare their property tax values to neighbors, potentially alerting them to the need for a reassessment. 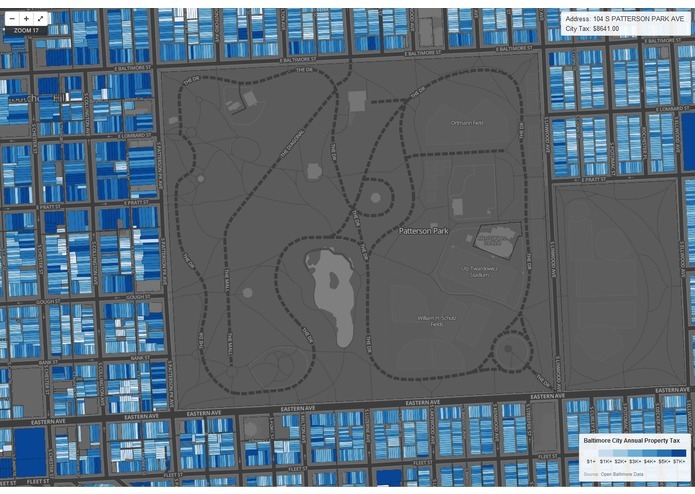 Since property taxes are directly proportional to property value, this map also provides interesting views on the the variation of property values throughout the city. This app was inspired by the AppsForPhilly "How AVI Affects Taxes" map (http://apps.axisphilly.org/avi-map/). Future improvements on the map will focus on incorporating tax credit information to depict actual paid property tax after credits have been assessed. This will give a better impression of the actual tax burden of homes dependent on the resident's income. Note: The link may or may not work depending on whether the final map files have been uploaded to the server yet. Neural engineer. Data scientist. Civic hacker.